Click here for a page of resources, educational games, and other websites for children and families. Most resources are free and available through a computer, smartphone, or tablet. Enjoy! 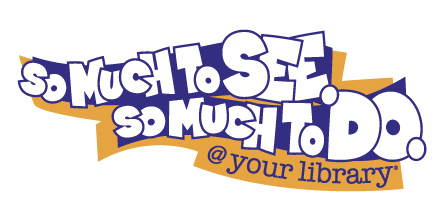 Click on the “Use the Library” tab at the top of this page for access to our card catalog, to find information about our bookmobile, to learn how to get a library card, and to find many other resources. Click the “About the Library” tab at the top of the page to find lots of information about who we are. You can find our contact information and location, our hours and scheduled closings, and meet our wonderful staff! The East Carroll Parish Library formally opened on June 17, 1884. Later that same year, the Library Committee met with the quorum and elected a librarian. The present library opened June 29, 1954 as a demonstration library with Miss Elizabeth Cammack as its first librarian. The East Carroll Parish Library is currently located at 109 Sparrow Street in Lake Providence, Louisiana. The East Carroll Bookmobile also began its service to rural patrons in 1954 with Mr. George Wise as the first bookmobile driver. The new bookmobile was purchased in 2009 and is located at the library. The East Carroll Parish Library’s vision is to empower community members to achieve their highest potential. that will stimulate the imagination and develop self-confidence.